Heather and Vickie had a vision of how they wanted the real estate closing and title insurance experience to be for their customers. They wanted a community oriented closing and title agency that offered an efficient, reliable and courteous transaction. A company where communication was key, team work was a given and customer service was top-notch. 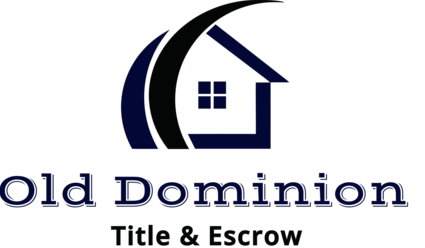 So together they opened Old Dominion Title and Escrow and their vision became a reality. Heather has worked in the real estate field for over 25 years, with a majority of that time spent as a settlement agent representing buyers and sellers in all manner of real estate transactions including purchases, refinances, short sales, REO and estate closings. For several years, Heather lived in sunny Sarasota Florida, where she worked as the executive assistant to a luxury realtor who specialized in multimillion dollar properties. After returning to Virginia, Heather worked as a loan officer for a local mortgage broker in Virginia Beach, but her passion is settlements. Working with buyers and sellers to achieve their goals is really what drives her professionally. When she isn’t working, she enjoys outdoors activities with her family, and traveling with her husband Terry. Heather and Terry share 4 children, 1 adorable grandchild and we cannot forget… their crazy Weimaraner named Utah. Vickie is a native of the Chesterfield/Prince George area of Virginia. She has over 7 years experience in the real estate title insurance industry. She is experienced in residential, commercial, new construction and foreclosure underwriting. Prior to obtaining her Title Insurance Underwriter’s license in January, 2008, she worked in Finance and prior to that, in Real Estate Development. 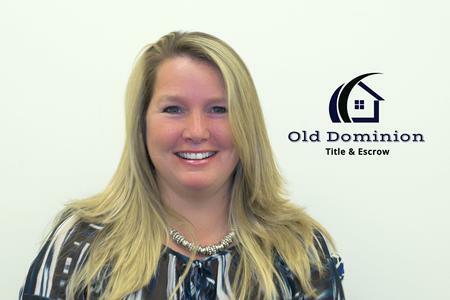 Vickie, along with everyone at Old Dominion Title, believes in putting the customer first and that communication and excellence in service is vital to that relationship. When Vickie is not working she enjoys spending time with family and with her husband, fishing, beachcombing, kayaking, just about anything near or on the water. Dedicated, hard working and enthusiastic are word that come to mind when you think of Kelly’s personality. She is a leader and a positive role model for all that cross her path. Kelly has over 8 years experience in the real estate title insurance industry as a title coordinator. She is married to a hard working Henrico firefighter. They have one son who is currently in firefighting school himself. She is crazy about her fur baby (a long haired daschsund) named Apollo. He brings much love and excitement to the whole family. In her spare time, Kelly enjoys spending time with her family, going to the beach, fishing, or just relaxing.